Horst states that the river like the Phongola are still too discoloured for fishing and need 3-4 weeks to clear. Carl Freese of Tugela Fishing Company (083 2260810) who guides mainly in the upper Tugela area reports that most of the rivers are perfect as they have had less rain than the rest of KZN. Moreover, the Spioenkop Dam has still not overflowed which is unusual for this time of year so the Tugela from below thw dam wall to the junction with the Little Tugela is clear enough for fly fishing. 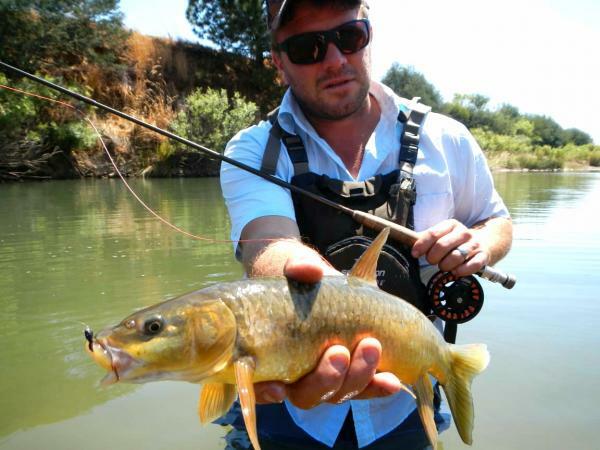 Jan Korrubell of the Kingfisher in Maritzburg states that most of the traditional yellowfish venues such as the Umgeni below Midmar, the lower Mooi and Bushmans need to clear yellows have migrated into the lower trout sections of the Bushmans such as Snowflake and the communal water and are still being caught by anglers targeting trout. These fish will drop back to the lower waters in the next month. Karl Adensgaard (082 4558818) reports that the Umkomaas in the Richmond area is currently too muddy for fly fishing due to rains in the catchment area. Expect the river to clear by April.